One of my favorite things that goes on in my room on a daily basis is actually something that was missing in my room, at least from previous years. As teachers we have all sorts of fun ways to get the attention of our kids, many of which I have used in the past. I clap a pattern and they clap it back. I say, “if you can hear me put your hands on your head.” I yell, “spaghetti” and they yell back, “meatballs.” I sing out “sugar” and they sing back “yes, please.” That one was always my favorite because who doesn’t love livin’ the Adam Levine rock star dream. Don’t get me wrong, there is so much good in engaging students in an auditory manner and giving them anchors or trigger words to listen for, but that’s not really what I’m talking about. 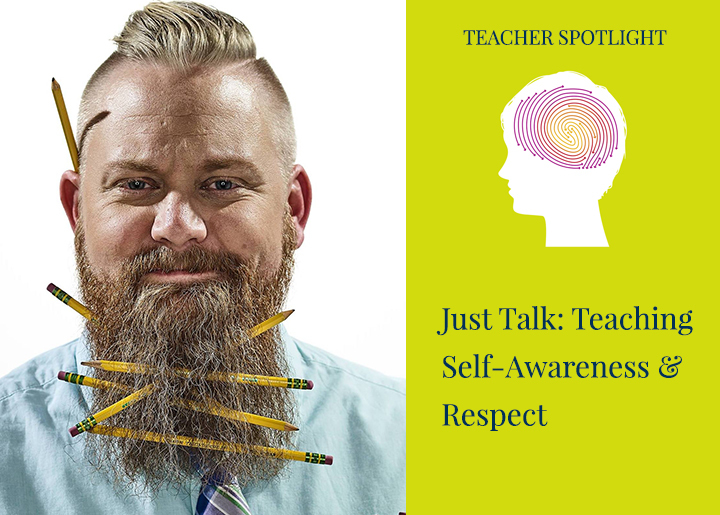 What I’m talking about is where the respect and the control are in the classroom, which unfortunately is solely with me when I rely on call and response ways of getting my students attention. My job is to prepare students for the world and let’s be honest, as a teacher you’ve raised your hand at a church meeting or at the dinner table and someone has laughed at you. What is natural for us isn’t natural for the rest of the world. What we’re really trying to do, as educators, is get students to engage in a respectful conversation. With that in mind I have a new rule this year: when you hear my voice talking to the class, come on back to the group discussion. There is a very clear difference when someone is speaking to a group and when they are speaking to an individual so when they see me and hear me start to speak to the group, a respectful person ends their conversation and shifts their attention. I love this because under the old model the volume of students and their engagement level was allowed to be whatever they wanted it to be until I stepped in. All of the control was in my hands and as a result no self-control was being learned by my students. Under this new model, we all understand that we are all part of a larger learning environment. Their conversations and their work need to be at a pace and level that is aware of those around them–aware of others. Ultimately that is what I want from my students. Work while being aware, work while understanding you’re a part of a larger group, work knowing that you are responsible for you, but you can’t forget us. The world needs that! There is a respect level that develops through this interaction; a partnership in what we are trying to achieve together. This is in sharp contrast to the control relationship that develops when they are allowed to get as loud as they want until I stop them. Thomas Dennison is a 5th grade teacher, serving at Havre de Grace Elementary in HdG, Maryland. He has also taught kindergarten, 3rd and 4th grade and intends to stay in the classroom for 30 years. Thomas believes schools should be built on hope and believes it is their role to help each student figure out who they uniquely are. He works to make sure that each day can be fun and challenging, not either or. Thomas believes in the power of beards, the balance between chaos and control and the comfort of a worn-out pair of Cons. He has a master’s degree in Educational Computer Technology and a bachelor’s in Early Childhood Education both from Ohio University. Thomas is a National Milken Award winner and Milken Unsung Heroes Fellow. You can follow him on Instagram @mrdennison5th so see how each day can have its open piece of awesome.